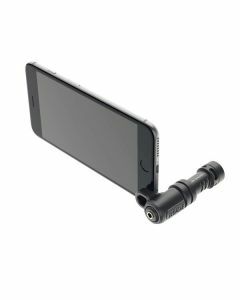 The Rode VideoMic Me is a shotgun mic for smartphones. Plug and play via TRRS and compatable with iPhone, iPad and a range of Android and Windows mobile phones. It features a play through headphone jack and ships with a furry windshield.